Well, I couldn’t exactly play the ill-advised prequel without going on to cleanse my palate with the real deal. 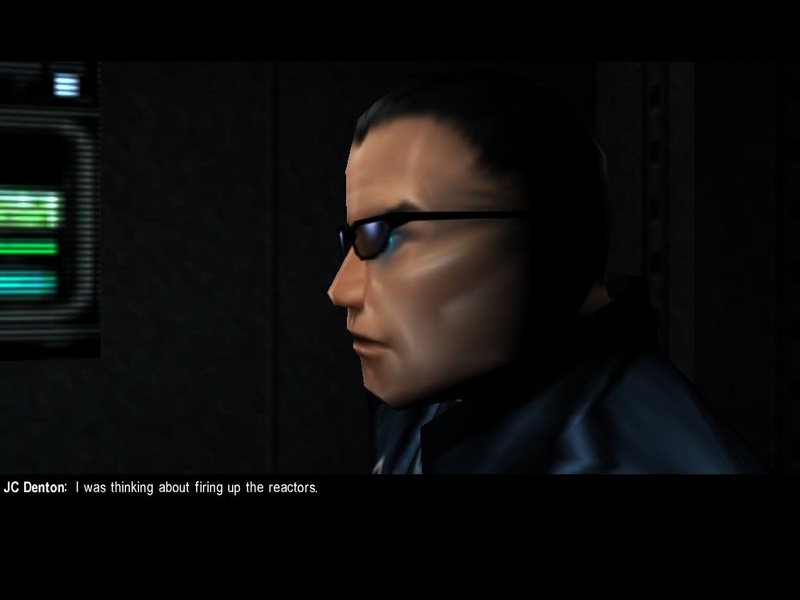 While floating around the grungy millenial streets of Deus Ex, I got to thinking about one feature that was particularly controversial about its prequel: boss fights. Because the original Deus Ex doesn’t actually have a final boss… Or does it? I once watched a video compilation of a man very-quickly murdering the final bosses. Speed-running, sort of. I was intrigued to see Deus Ex in the list, because I never figured Deus Ex even had a final boss. It seems the author chose the fight against Walton Simons in Area 51 as the final boss — a fight that most players won’t even see, as it’s most natural to dispose of Simons much earlier (choice and consequence, innit). By the time you get to this fight with Simons, you’re basically as powerful as you’re going to get. You can stand back with the aggressive defence system on and wait until he throws a grenade and kills himself, you can drop cleanly him with the GEP gun or the sniper rifle before he finishes running to you, you can dance plasma rifles with the energy sink aug — there are a myriad ways, I’m trying to say, of killing him in about five seconds. As occurs in the video. That’s not a boss fight, I say, and it does the game a grand disservice to call that its finale. No, the final boss of Deus Ex is not a single character to defeat. 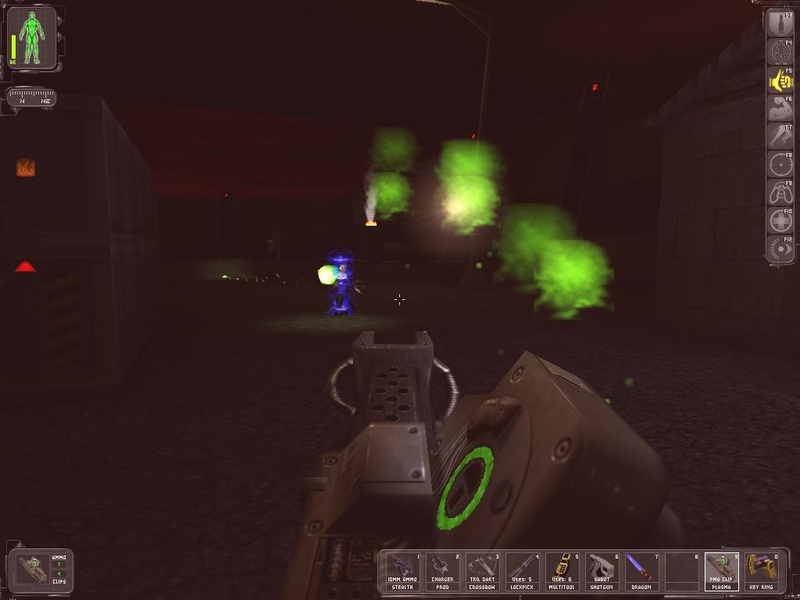 The final boss of Deus Ex is the entire last level — Area 51 Sector 4. No, Sector 4 is the boss. Infinitely universally-constructed animals mean pure violence is not even the best option — the real Deus Ex in fact pulls the opposite stunt to its ill-advised prequel and forces you to sneak and lockpick and hack to reach your chosen finale safely. Having said that, I did have a belter of a Plasma Rifle-off with Simons this time around. I mean, what is a final boss but a heightened set of challenges, the same as the rest of the game but ramped up a few notches? Take Unreal — shooting and dodging are its only mechanics, so facing down a single super-powerful character in the Skaarj Queen, who must be shot and dodged even more than any other opponent, is the perfect climax. No only do you get to unload all the guns, you even get infinite gravboots so you can jump and dodge even better — you’re not just facing an amped-up opponent, but you get amped up too! I’m not very good at stealth, so I always end up shooting anyway. The fact that there are different finales available adds an extra dimension to Deus Ex‘s final level. Not only is there a varied climax that suitably exercises all of the game’s myriad mechanics, but there are three different ways of defeating it. 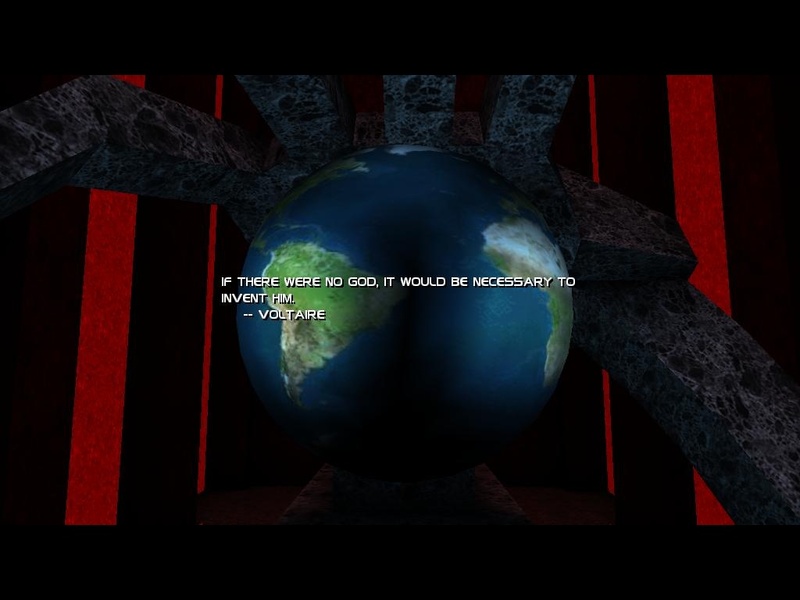 Beyond the fact that there are three endings at all, they each require different paths through the level. On the one hand, you have the ending you want — the faction you most identify with, the outcome that you think will resonate best with your own beliefs — and on the other hand you have your capabilities — your skill as a player and the equipment and augmentations you’ve collected through the rest of the game. 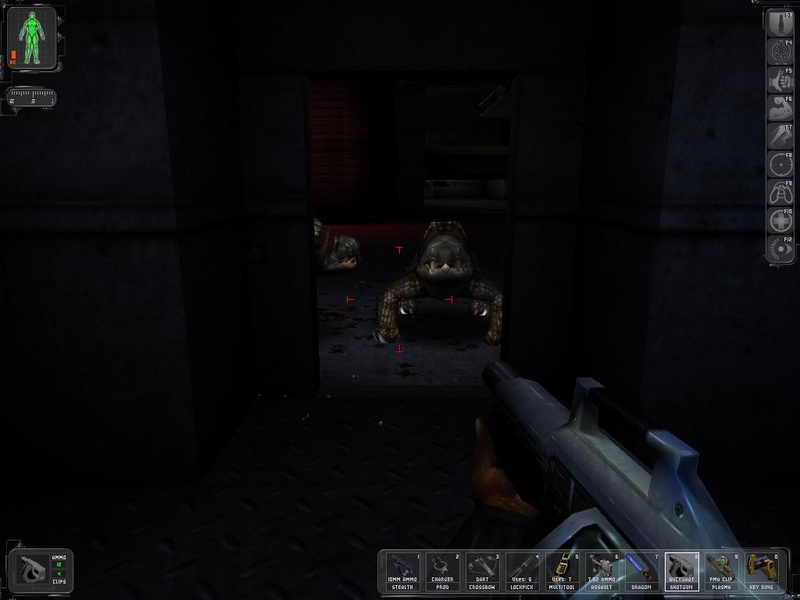 Of course the level is ultimately designed so that any ending is possible with a sufficient amount of exploration and improvisation regardless of your loadout, but a first-time player may find themselves limited to, or at least sliding down the path of least resistance towards, an ending that is not the one they desire, but rather the only one they are capable of getting to. That in itself is something rather special, I think. A far cry from the “press one of these buttons” or “pick a colour” setups we seem to get for multiple endings these days. I still haven’t found out how to activate the secret disco ending. Okay, you say, that’s all well and good. But all games have final levels (except procedurally generated ones, I guess) — what makes Deus Ex any different from one of those? Deus Ex‘s final level is non-linear, that’s what. Much like a traditional boss arena tends to be open enough and all about manvoeuvring, so is the entire level here. The purpose of a final level in any simpler game is just to lead you to the boss, and they’ll tend to have that room just before the end with all the ammunition you could ever need to ensure you’re ready to rumble. In Area 51 Sector 4, your objective is no longer to progress the game: it is now to win the game, to defeat the final boss. The distinction is subtle, and perhaps even unnecessary, but I’m going to plant my feet and make it anyway. Story of my life, Helios. Is there a conclusion to this ramble? I’m not sure. A final boss should exercise the fullest extent of all gameplay mechanics, not just a subset, I guess. That makes sense. The final boss is meant to challenge everything you’ve learnt so far, push you to the limit. 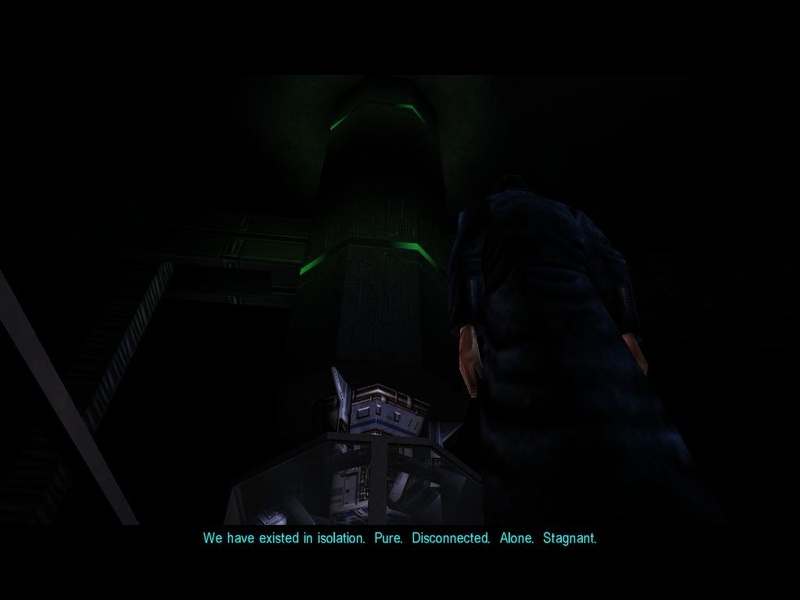 In the case of Deus Ex, that cannot be done in a single, isolated combat encounter. This entry was posted in Gaming and tagged boss fight, Deus Ex, final boss, FPS, games, Human Revolution, RPG, singleplayer by Rao Dao Zao. Bookmark the permalink.